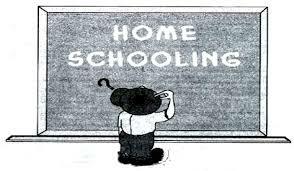 Homeschooling isn’t for everyone but what if it’s the best fit for your family situation? Here are a few tools to help you get started and assist in your success as a parent educator. Take Homeschool Diner’s Click-O-Matic Quiz for help choosing a homeschooling method. Get in touch with a community of homeschoolers. Read about and discuss homeschool philosophies on the Curriculum Choice blog. Consider California Homeschooling Laws and Regulations. Look into curriculum resources. Try Curriculum Shopping at A to Z Home’s Cool or the Homeschooling Curriculum links on the Know Home Schooling Wiki. For guides to typical curriculum content and standards by grade level, try the Core Knowledge Series. Remember to take a deep breath and enjoy yourself! More than 60 free worksheets and templates. Unit studies, science projects, recipe and craft ideas, history activities & more. The official website of Practical Homeschooling Magazine (PHM). Free online practice tests; SATS, ACTs, Nursing exams and more.